Aiming to produce sporting champions of Generation Next, Manav Rachna International School, Mohali today launched its state-of-the-art Manav Rachna Sports Academy, which will provide world-class training facilities for more than 10 indoor and outdoor sports to not only the students of the school but to the general public as well. 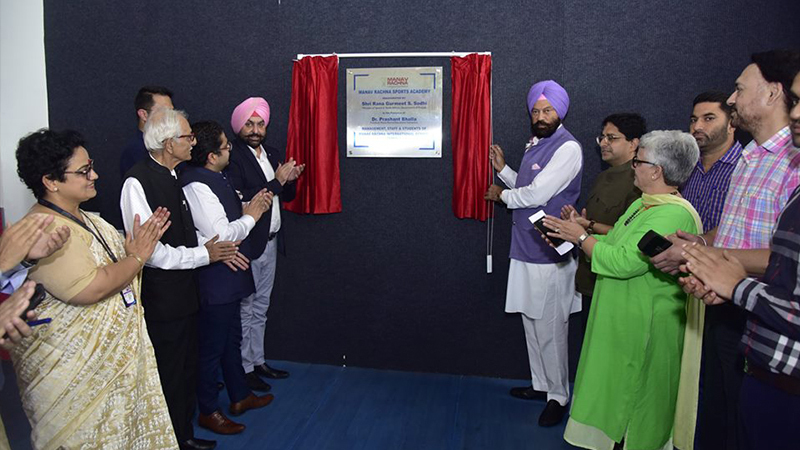 Inaugurating the Manav Rachna Sports Academy here along with Olympian shooter Ronjan Sodhi, Punjab Sports Minister Mr. Rana Gurmeet Singh Sodhi said the newly opened sports academy would go a long way in inculcating a sports culture in the state. While the indoor sports arena at Manav Rachna Sports Academy has facilities for badminton, fencing, table tennis, shooting, a golf training area, gymnastics, yoga, carom and chess, the academy also has outdoor training facilities for cricket, football, lawn tennis, fencing, basketball and skating. 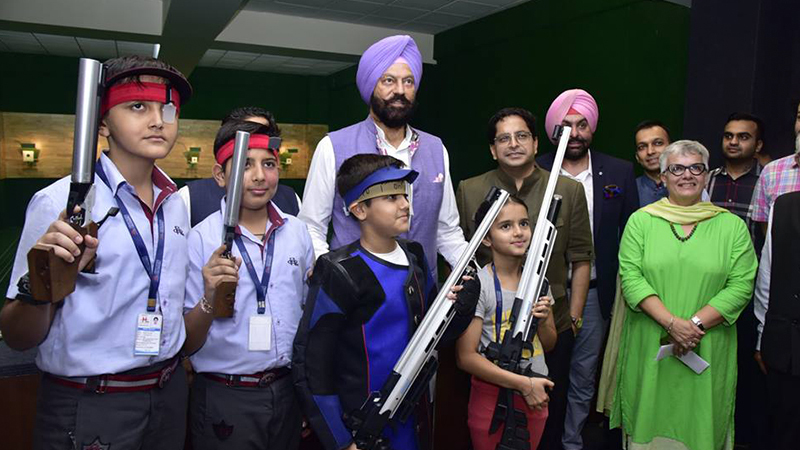 The school also happens to be the only one in the Tricity to have a state-of-the-art 10-metre shooting range. Also present on the occasion were Punjab Sports Director Mr. Amrit Gill; Assistant Sports Director and Mohali District Sports Officer Mr. Kartar Singh; Deputy Sports Director Surjit Singh Sandhu; President MREI Dr. Prashant Bhalla; VP-MREI Dr Amit Bhalla; Mr. M M Kathuria, Trustee, MREI; Executive Director Mr. Sunny Bansal; Principal of the school Ms. Taruna Vashisht.